Subaru’s now uncovered the crucial changes behind the 2017-spec BRZ and Toyota 86. The firm yesterday published a press-release that expands on changes made to the 2017 cars’ suspension, drivetrain, and chassis, and the effect they’ve had on specification. While we’ve known power’s jumped 5kW//9Nm for the 2017’s 2.0-litre flattie, now perched at 152kW and 212Nm, the BRZ’s new spec sheet reveals weight and fuel consumption has too. With either a six-speed manual or automatic the BRZ is now 26kg heavier, but interestingly, only the manual BRZ is a 0.6-litres thirstier over 100km. This would be down to the fact only the manual car’s scores more power, thanks to a new aluminium intake manifold with bigger ports and longer runners in place of the old plastic unit. It’s been finished in red too, like the firm’s WRX STIs. 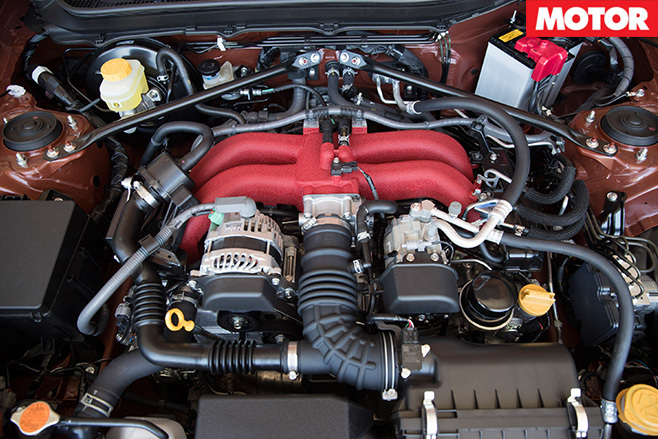 A new intake system, said to be 30 per cent more efficient, feeds the new manifold. Meanwhile the exhaust’s been improved too. The 4-2-1 exhaust header’s primary pipes have grown from 42.7mm to 45mm, while the secondary pipes expand from 45mm to 48.6mm. Subaru’s shot peened the engine’s pistons and added ribs to the block’s rear wall to help it handle the new power, with the new stonk also making the upgraded FA20 quite loud. The exhaust silencer’s shape and intake duct were changed to quell noise, but it wasn’t enough for the automatic variant. With the new manifolds it couldn’t pass noise regs. Hence the carried over 147kW/205Nm. Subaru took further inspiration from its WRX STI in the BRZ’s drivetrain, where its shares the same prop-shaft design. Meanwhile, the six-speed manual’s been strengthened to handle the extra grunt. Elsewhere, the body’s said to use more high-tensile steel, while the same material has been used to reinforcement the cabin. Suspension-wise, Toyota’s backed off rear spring rates and increased the front ones for the 2017 car. However, Subaru hasn’t divulged what’s new about its BRZ’s ‘unique’ suspension tune, which was traditionally more neutral than the Toyota’s, besides a new rear anti-roll bar size that increases agility. Local price for either car hasn’t yet been revealed, but figures aren’t expected to change much. 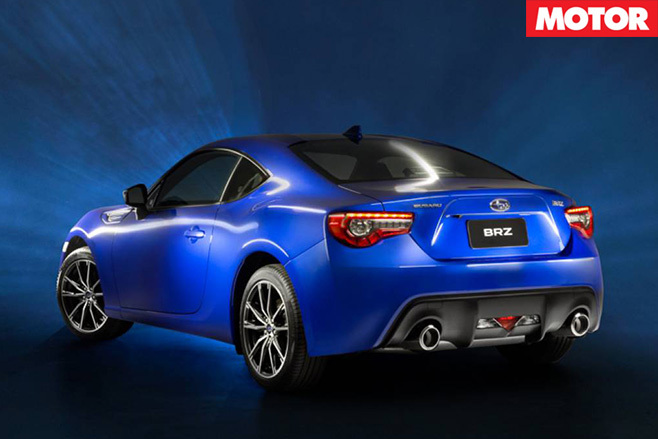 Expect to find out once the 86 launches October and the BRZ in November.